TSIS, the Total and Spectral Solar Irradiance Sensor, is a specialized instrument for the measurement of total solar irradiance and spectral irradiance to deliver a vital piece of data for climate research since the total energy input from the sun into Earth’s atmosphere is critical for an understanding of Earth’s energy budget over time. Hence, the total solar irradiance is considered one of the fundamental climate parameters captured through space-based observations and there is great desire to continue these long-term records with robust instrumentation, deployed across different spacecraft and operating in different orbits to ensure data continuity and good cross-calibration. TSIS is a project of NASA’s Goddard Spaceflight Center and the Laboratory for Atmospheric and Space Physics at the University of Colorado. Reaching space in 2017 will mark the end of a very long road for TSIS, being first selected in 1998 as an instrument for the NPOESS (National Polar-orbiting Operational Environmental Satellite System) which was canceled in 2010 due to cost and budget overruns. 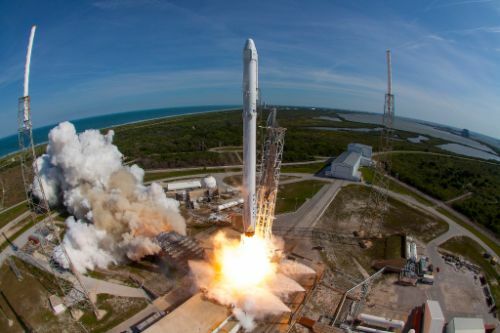 The instrument was then placed on the Joint Polar Satellite System and re-manifested to the SIDAR (JPSS Free Flyer 1) satellite which was also canceled. 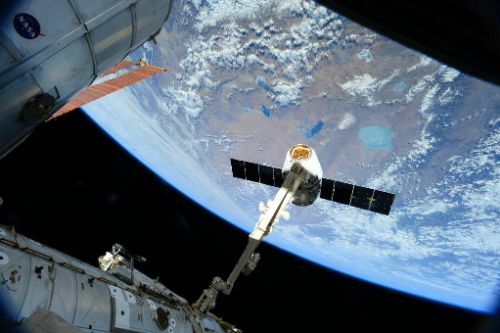 Eventually, it was re-configured as an ISS payload for operation on Express Logistics Carrier 3. 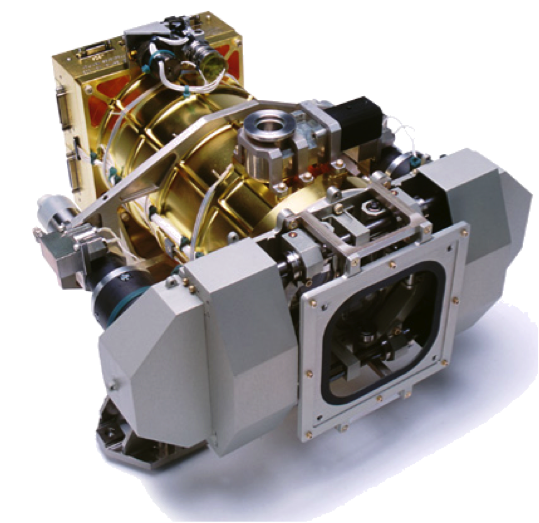 The TSIS instrument has been designed to provide continuity for the Total Irradiance Monitor and Spectral Irradiance Monitor flown on the SORCE satellite launched in 2003. 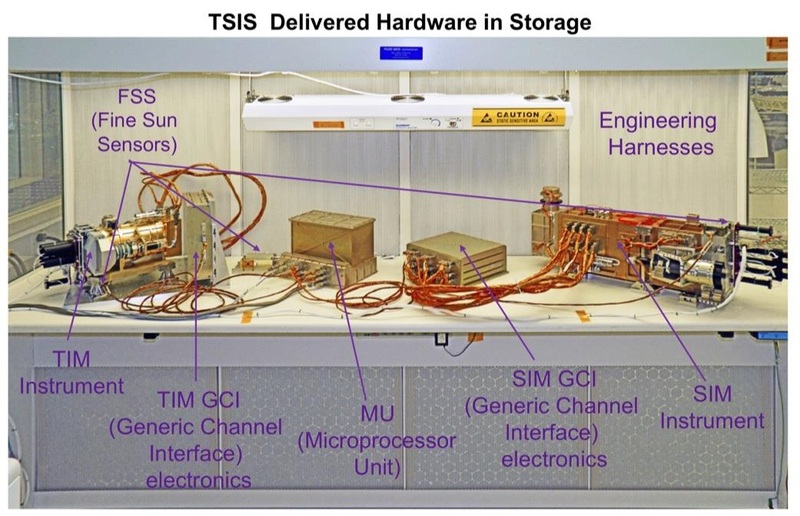 Initially, the TIM and SIM instruments were planned to be relieved by the Glory satellite in 2012, but when its launch failed, a problematic situation arose since SORCE had already exceeded its planned service life and TSIS was still years from launch at that point. 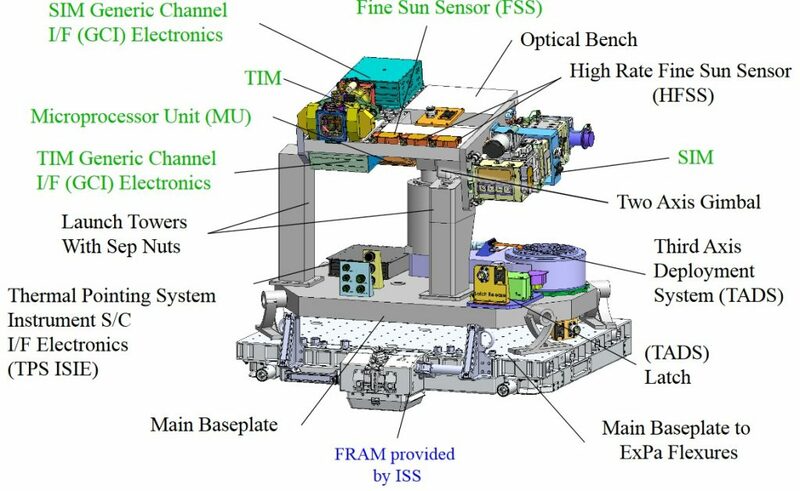 Since cross-calibration is an important aspect of total irradiance measurements, an instrument known as the TSI Calibration Transfer Experiment was commissioned in rapid fashion to fly on the STPSat-3 spacecraft launched in 2013 to so keep up cross-calibration capability between SORCE and TSIS; however, SSI measurements were expected to suffer a gap. 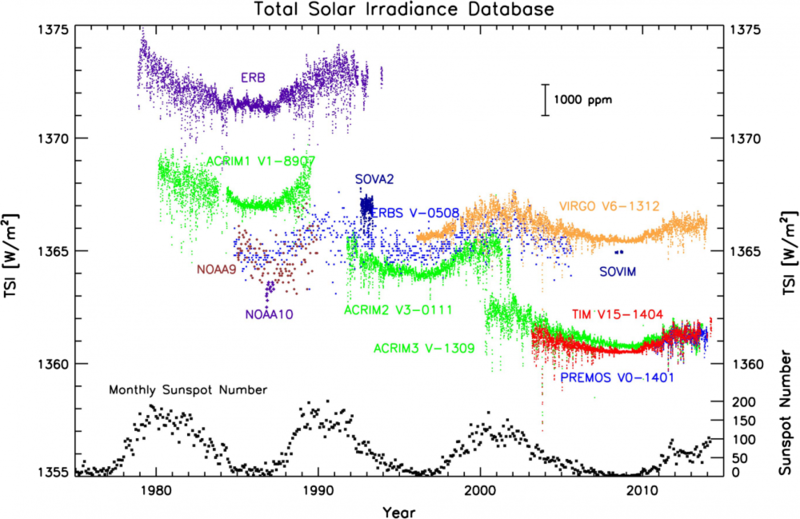 Launching in late 2017 and starting science measurements in February 2018, TSIS will continue the 38-year record for Total Solar Irradiance measurements and extend a 14-year Spectral Irradiance record. Under the TSIS project, NASA Goddard has the overall project management responsibility as well as handling system engineering, mission assurance and engineering oversight while LASP handles the design, development and testing of the TSIS instrument as well as mission operations, data processing and product distribution. 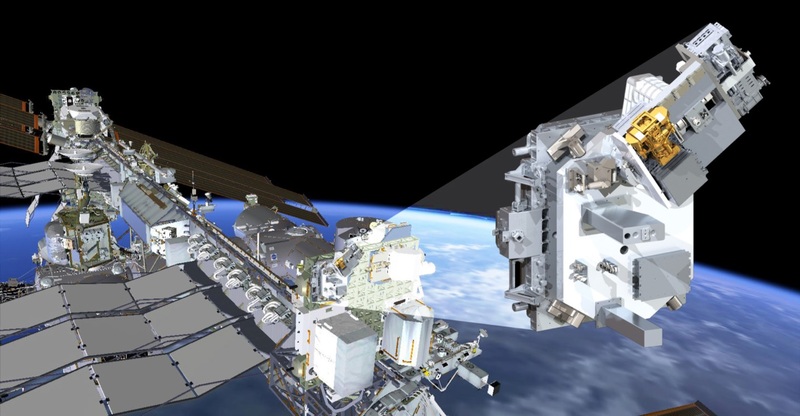 The ISS program provides the launch opportunity for TSIS, handles its installation on the exterior of ISS and is responsible for power and communications. 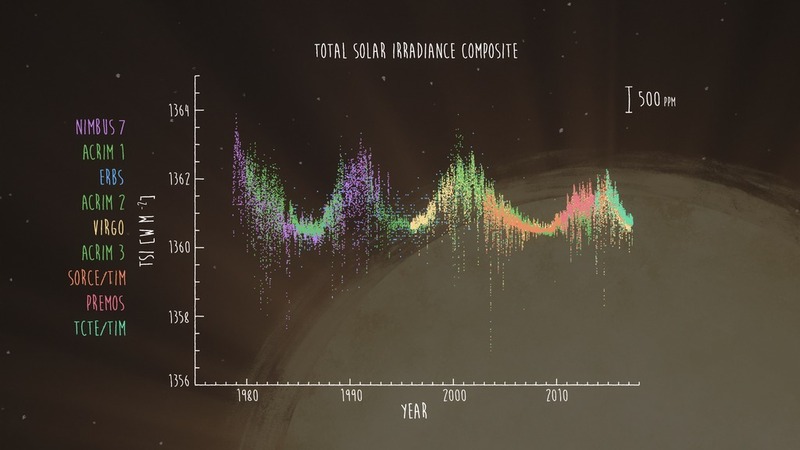 TSIS is a dual-instrument package comprising the Total Irradiance Monitor (TIM) and the Spectral Irradiance Monitor (SIM). TIM measures the total solar irradiance (TSI) incident at the outer boundaries of the atmosphere, providing an accurate benchmark for total solar energy input to the Earth system while SIM covers the spectral irradiance of 200 to 2400 nanometers (96% of TSI) to extract atmospheric response characteristics to changes in the sun’s output. TIM is an absolute active cavity radiometer capable of measuring TSI with an absolute accuracy exceeding 0.03% per year. The instrument consists of four active-cavity electrical substitution radiometers, contained in a cylindrical housing assembly and each cantilevered from a single support such that the mount provides thermal impedance between the cavity and the heat sink which surrounds them. The cavity radiometers consist of an instrument tube with a front window through which radiation enters the instrument and is directed onto an absorber. Internal heaters keep the cavities at constant temperatures, measured by sensors in the material and heater currents are recorded to determine the incident energy since the currents required to keep the elements at constant temperature drop with increased heat flux. One of the four cones, designated the measurement cavity, views the entire solar disk through a precision aperture and any of the remaining cones can be used as reference cavity with its shutter closed. The cones consist of 1mm thick electro-deposited silver with a Ni-P black coating on the interiors featuring an etched structure to create a diffuse black surface with a minimal visible reflectance of 0.3%. Precision heating is provided by six, 1mm² chip heaters at the back of each cone and thermal measurements come from gold electrode chip thermistors installed in the apex of each cone and its support structure. Optical baffles behind the primary apertures provide shielding from Earth albedo and off-axis infrared radiation and Si and InAs photodiodes are employed to measure changes in cavity reflectance from oblique observation angles. 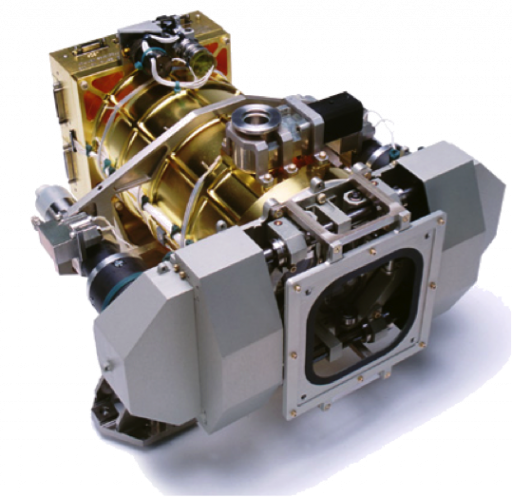 The SIM instrument is an internally-redundant spectrometer obtaining spectral measurements by rotating a small prism in the optical path and recording the spectrum at the exit slit by means of a high-sensitivity Electrical Substitution Radiometer. Like TIM, one of the radiometers will be actively illuminated while another is shielded from any incoming radiation to act as a reference. 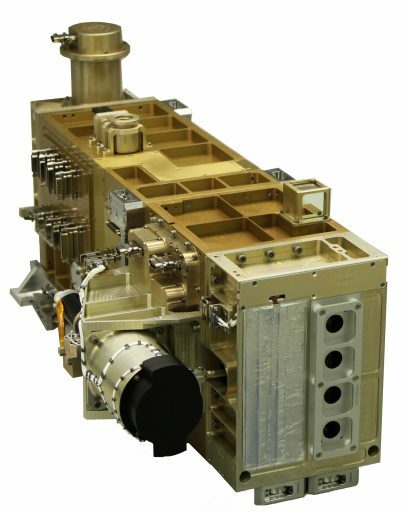 SIM has been designed, characterized and calibrated to achieve an unprecedented absolute accuracy of 0.25% and high spectral stability of 0.01 to 0.05% per year – making SIM the first instrument reaching the level of precision needed to establish the long-term solar impact on wavelength-dependent climate processes. SIM comprises two identical mirror-image spectrometers, allowing one to be used at a steady duty cycle for multiple measurement runs per day while the other is only used once per month to track potential degradation of the prime unit. The instrument, weighing in at over 20kg, has a 0.3 by 7 mm entrance and uses a prism as the dispersive element, delivering a flat spectrum to the focal plane where the detectors reside. The primary detector is the ES Radiometer joined by silicon and extended InGaAs photodiodes behind separate exit slits to provide simultaneous measurements at four neighboring wavelengths, achieving an overall spectral resolution of 25 nanometers.